From this page you can access period photos of cars, trucks and motorcycles bearing New Mexico license plates. Click on a specific year in the list below to see a vehicle with a plate from that year. For many of the years there are multiple photos. After clicking on a given year, be sure to scroll down to see any additional photos below. Do you have old photos of vehicles displaying legible New Mexico license plates from the years 1910 through 1976 that you would like us to publish on this page? If so, please contact us. 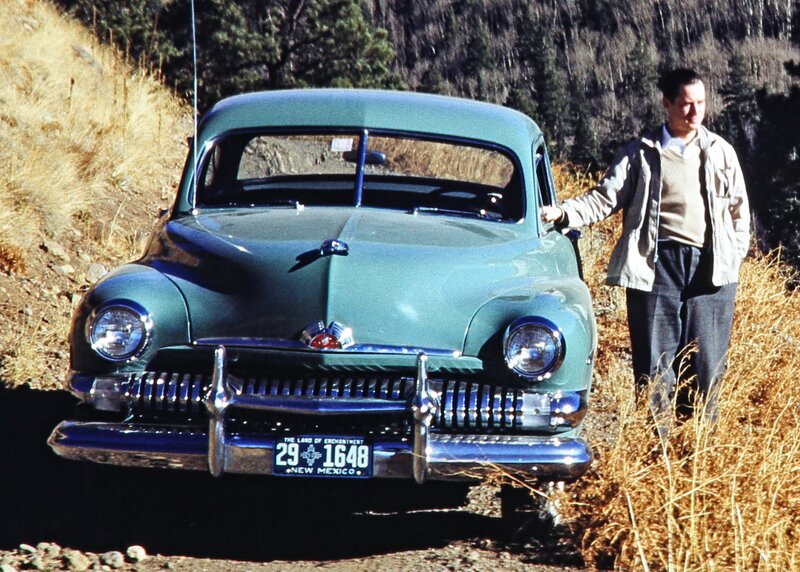 1950 Mercury sedan with 1950 plate from Sandoval County. The owner is unidentified. Author's Collection.